A few weeks ago, I had an hour to kill before I had to pick up the youngest. So, I decided to do so at one of my favorite places for lunch in Cranberry Township, PA: I went to the Brighton Hot Dog Shoppe. 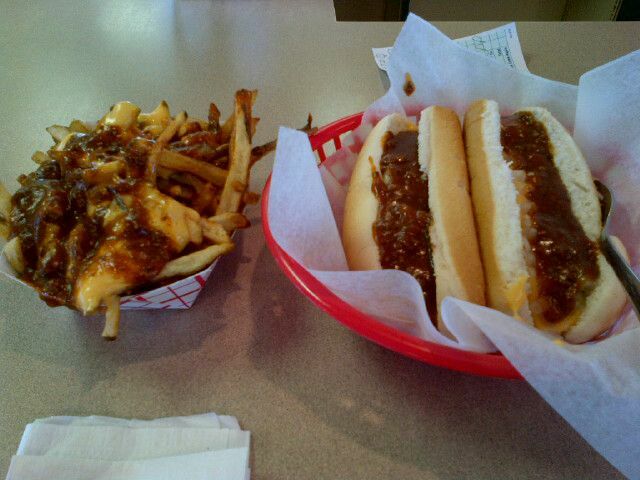 The Brighton Hot Dog Shoppe is exactly what you would expect: dirty water dog heaven. The dogs are boiled to perfection and served on spongy, steamed hot dog buns. You can get them any way you like: with yellow mustard, relish, ketchup, chili, cheese, onion, etc... They also have fries, onion rings, and sinfully think shakes made the old fashioned way with real whole milk and ice cream. If you are looking the eat healthy, this is not the place for you. Just keep on going to the nearest salad bar. The Brighton Hot Dog Shoppe has counter service and full service sit down. Everyone is friendly and the service is great. They also have diner style breakfast in the morning as well. So, if you are in the Cranberry area and love a good hot dog, this is the place to go. Bottom line, 3.5 stars out of 4. Everybody loves a good hot dog. Once in awhile is fine. Life in moderation. I am the perfect non-example.